The Canucks are my favourite team, so I've thought a lot about their uniforms. 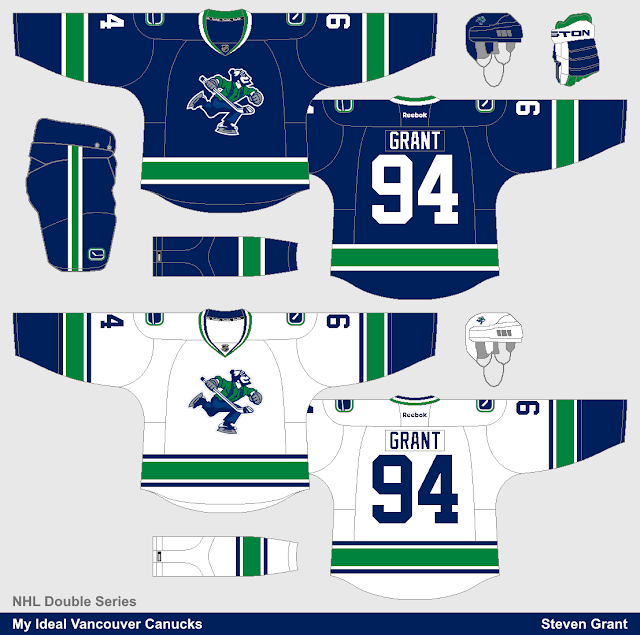 If it were up to me, I'd stick with their current striping pattern (but slightly tweaking the thickness of the some stripes), then I'd promote Johnny Canuck to the primary logo, switch to a block font, and add green to the collars. 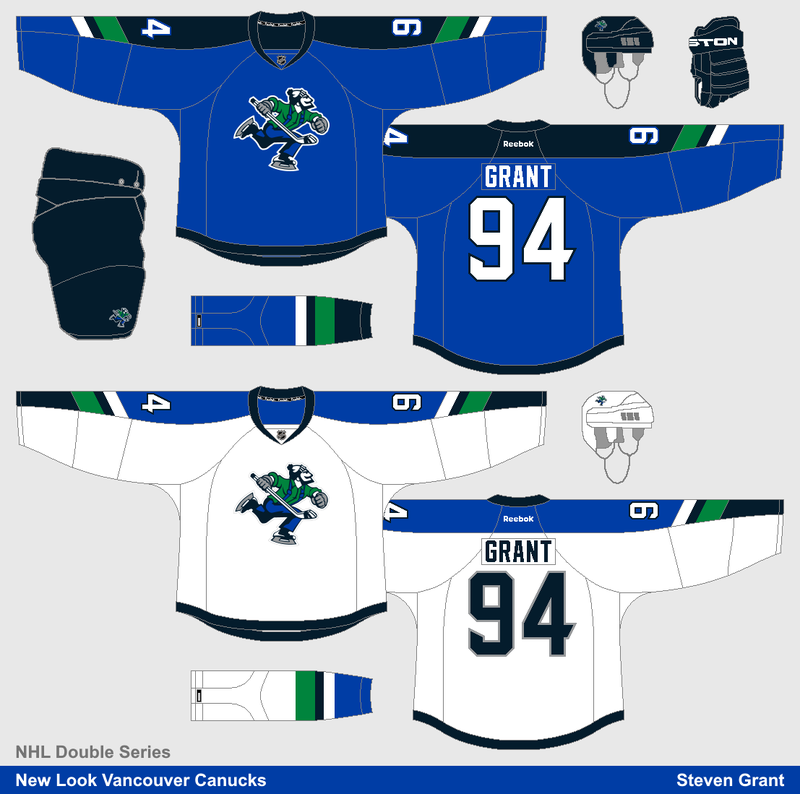 My more experimental concept uses the two shades of blue from the Canucks 1997-2007 jerseys, a striping pattern somewhat influenced by their infamous "Flying-V" jerseys, and Johnny Canuck once again as the primary logo.